Our Master Technician Michelle is our main academy teacher. Michelle has been in the beauty industry for more than 16 years. Started her earlier career as an esthetician, she later became a hairstylist, permanent makeup artist, and lash technician. Michelle has been in the lash and permanent make up the industry for more than 7 years, has been taught by world-renowned lash mentors, who are judges for worldwide lash competitions. One of her many mentors is Hanna Putjato, who is a well-known figure in the lash industry for Russian volume and Mega volume. One of Michelle’s permanent makeup mentor is a well-known figure who has been in the PMU industry for close to 20 years. Our main technician Vicky, has been in the beauty industry for more then 11 years. Vicky’s an esthetician, hairstylist, lash technician and permanent make up artist. 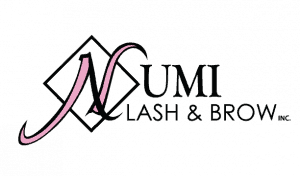 She has been in the lash and permanent makeup industries for more than 4 years, and has been taught by world-renowned mentors. A few of her mentors include Queen Brows (Trang, Thuy are well known for their microblading techniques), Hoa (CEO of Hoa beauty, a master judge in lash competitions) and Sviatoslav Otchenash ( world knew for his PMU stardust technique), Linda Paradis (renowned tattoo removal figure).